We believe in the freedom to explore and express faith. We believe that all individuals have inherent worth as given to them from God. We believe that Jesus Christ taught us to treat one another with grace, forgiveness, and most importantly love. We believe in supporting an academic community where people from all faiths feel welcomed and accepted. We believe, as an affiliate of the United Methodist Church, in the value of a cooperative relationship between the academy and the church, whereby both institutions respect and foster higher learning. We believe that a life-changing faith is guided by the written Word, illumined by tradition, enlightened by personal experience and confirmed by reason. We are continually developing an academic community that is just and kind and walks humbly with our God. 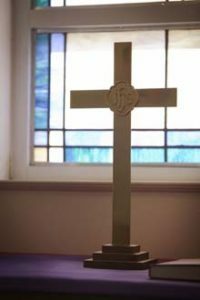 Reinhardt's Statement of Faith resulted from a year-long study of faith and what it means at Reinhardt. During the year, several lectures addressed faith on our campus, and an extensive written survey of faculty and staff views toward faith and the role it plays at Reinhardt was conducted. A series of small focus groups were conducted by then President Dr. J. Thomas Isherwood and then College Chaplain the Rev. Leigh S. Martin. Isherwood and Martin distilled what they had heard into a written document, and faculty and staff feedback to the statement was considered. The resulting statement above was approved by Reinhardt's Board of Trustees on Sept. 18, 2007. The statement helps to explain the institution's faith atmosphere. It is not a litmus test or belief statement that Reinhardt employees or students must sign. Instead, it strives to summarize how Reinhardt, the institution, addresses faith. Its intent is to help prospective students, faculty and staff have a better idea of what to expect.